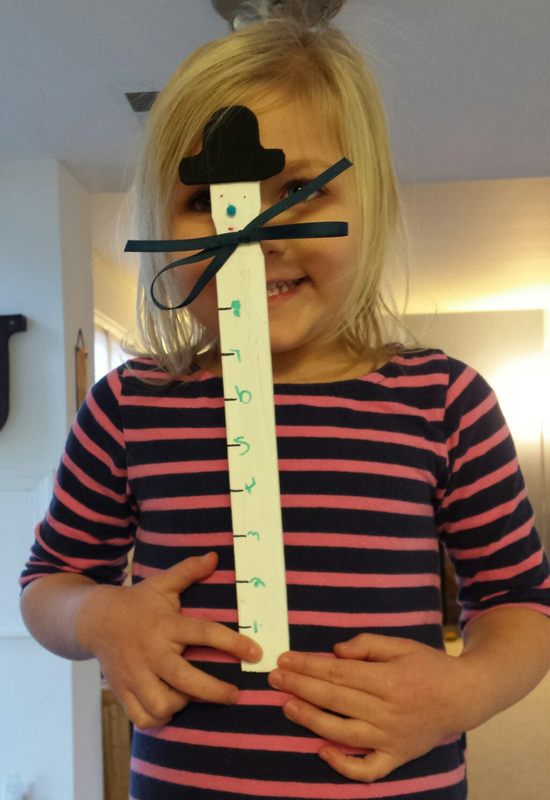 She's a snowman – correction, she's a snowgirl – snow gauge. Jovie says you can tell she's a girl because of the shape of her mouth. Jovie made Natalie in preschool. She brought her home last week, chattering nonstop about how she was constructed and what we'd use her for and wondering when, oh when, it would snow. I'd peek into the rearview mirror on the drive home and see Jovie having secret conversations with Natalie about whatever it is 4 year olds have secret conversations about. Probably poop. Then she'd catch me looking at her and Natalie would pop up in my rearview mirror and, in a high-pitched voice (so you'd know she was a girl) squeaked, "Hiya mom!" Later on, I found Jovie sobbing on the stairs wearing her coat, clutching Natalie. "It didn't work! I tried to measure it, but the snow keeps melting! I can't do it!" It was the saddest ever. While Jovie had made Natalie, I'm not sure she was clear on proper snow gauge usage. From what I gather, she thought she was supposed to use Natalie to catch snowflakes and then count the flakes. But, of course, the flakes kept disappearing on her. We eventually calmed Jovie down, letting her know that we were sure it would snow enough to use Natalie one day soon. The next day, the girls woke up to – well, not really what I'd describe as a Winter Wonderland, but like, maybe a Winter-esque Goodishland. I mean, if Winter Wonderland were Disney World, then Winter-esque Goodishland would be the play place at an older model Burger King with only questionable cleanliness. A light sheet of snow covered the driveway and deck – but the grass was still poking up through the flakes. The girls saw it and resumed their running about the house from the night before, "IT SNOWED! IT SNOWED! IT SNOWED! Can we play in it?" 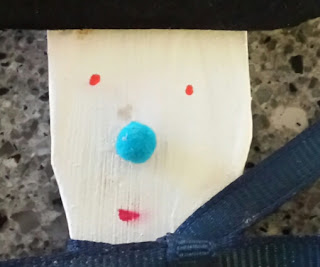 I told them there wasn't really enough to play in - not enough for snowmen or snowballs or snow forts or sledding or for measuring with Natalie the snow girl snow gauge – but they insisted on going out. They shoveled their breakfast cereal and, at 7:15 in the morning, donned their snow pants and boots and went outside to play. I watched them from the sunroom, chasing each other, making footprints, crawling around like woodland creatures and eating bits of snow they'd gathered here and there. Their cheeks were pink, their eyes were glittering and their smiles were wide. I was wrong. There was enough snow. As part of my freelancing work, I end up interviewing a lot of data scientists – or at least people who work for companies that develop software targeted to storing, visualizing, analyzing and otherwise dealing with Big Data. Where were we? Oh, right. Big Data. So, apparently, according to those who seem to know a lot more about such things than I do, Big Data is the future. Forward-thinking enterprises are racing to find the tools that will allow them to turn all the data they're collecting from clients, customers, employees, partners and vendors in the form of everything from emails to Facebook interactions to Tweets to phone calls to texts to website visits to purchases to "boost engagement" and become more "agile" and "efficient" (why yes, those quotes are substitutes for eye rolls. Just. All. The. Jargon). Big Data is responsible for Google knowing that when I start typing "How to stop my preschooler" I'm going to finish with "from whining" and Facebook knowing I will click on any and all videos related to goat tomfoolery and thereby filling my feed with all manners of goat-related hilarity. Anyway, Big Data allows organizations to make smarter predictions so they can make more well-informed decisions related to whatever their mission is – whether that's selling more small, hard plastic toys for me to step on or helping Syrian refugees. So what's this have to do with my kids and their snowy(ish) romp? Stay with me here. See, with all the reading I do about Big Data, I have this creepy feeling that in the end we're all going to be reduced down to numbers. That the entirety of humanity will be added to some infinite spreadsheet based in "The Cloud." That our worth and place in life will be based on precise measurements of aptitude at any given task. In the eyes of the future, we will cease to be the unique, prescient beings. All of what we are as individuals and a race reduced down to 1s and 0s in a giant server humming along on some remote Pacific Island. That's not to say that there aren't tremendous benefits from being able to collect and analyze large data sets (obviously) – I mean, you can make safer cars and predict where to build schools and hospitals and track the spread of disease and improve social services, and, and, and. So many possibilities. But when we all become just the sum total of our digital interactions, well, something gets lost, right? 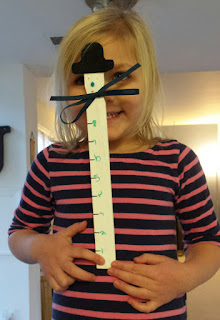 Data couldn't predict that my 6 year old would tell me that, "today is the best day ever" or that my 4 year old would show me all the different ways you can use a snowgirl snow gauge. As usual, I've wandered off course. I started writing this post because that moment the girls found so much joy in our little dusting of snow stuck with me. This idea of "enough." What is enough? I spend a lot of time thinking about things that I never seem to have enough of – time, sleep, motivation, desserts that contain both chocolate and peanut butter. But I've lost sight of what enough is. What that really means if I'm being honest with myself. Enough is probably much less than I already have of so many things. My fear for our collective digital future is that computers will be able to anticipate all the things we think we want or think we need and it will inundate us with reminders of these things. Luring us to seek these things and using methods we ourselves taught the computers from our repeated interactions with them. I worry that we will become so swallowed up in the endless vat of data and desire and presumed need that we will forget what it means to be satiated. There will always be something other thing, some other improvement, some other tweak. If you need something to measure that, well, I might have a snowgirl snow gauge for the job.